Rahul is a video game addict. Some of this favorite games are Red Dead Redemption 2 and The Witcher 3. What Games Are Like God of War? I have grown up playing the God of War series. 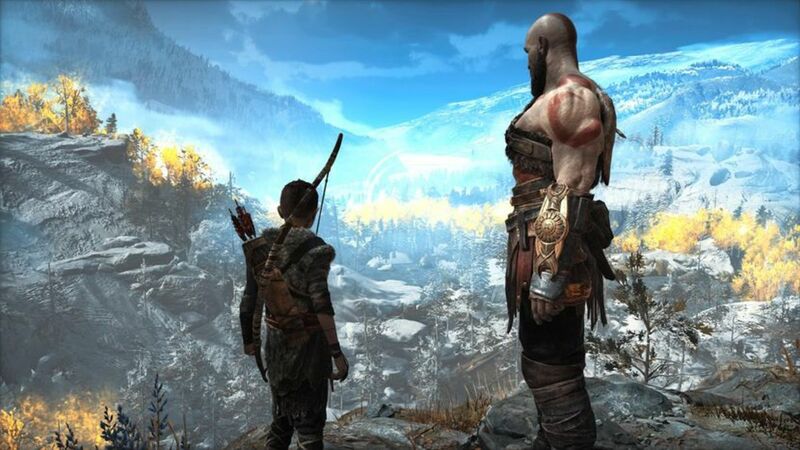 While Kratos, an anti-hero, has always loved murdering Gods alone, this time around, he has brought his little son along in his journey. I was skeptical about how this relationship will work and integrate into the game. Fast forward a few hours, I realized that this is the best work of Santa Monica Studios to this date. The relationship that Cratos has with his son starts off as a normal relation, but as the game progresses and becomes more complex, so does their relationship. Needless to say, Kratos has become a father figure here, a successful one, that is. This new iteration has added some much-needed variety to the tired and tested formula while retaining the good bits of the previous games. God of War has always been a combat-heavy game, and this game is no different. You’ll get plenty of Norse-mythological creatures to hunt on the way. Apart from the gameplay, it’s undoubtedly a visual masterpiece. 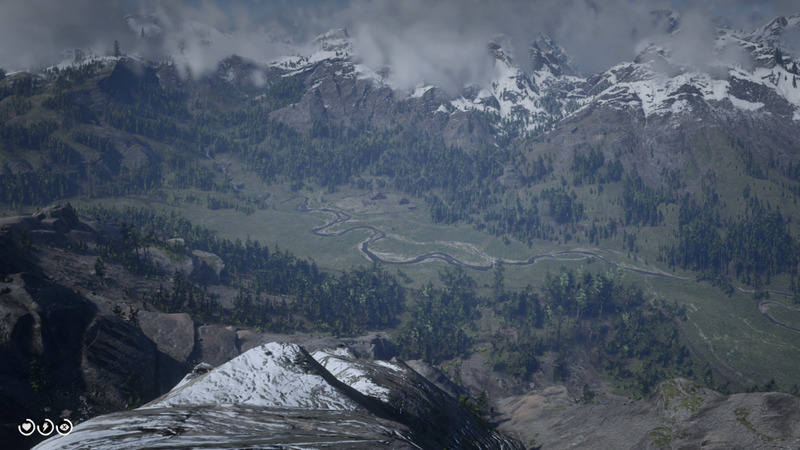 It’s one of the best looking games on consoles along with Red Dead Redemption 2. What after God of War? Here are some of the similar games to God of War that’ll scratch your itch for some more brutality and gore. Dark Souls series is the toughest game in this list by a margin. Notorious for its steep learning curve and difficulty, this series has become hugely popular among the people who love some good whooping. You think you’re good at action RPGs? Let Dark Souls series humiliate you and prove you wrong. More often than not, you’ll die because of your own mistakes and lack of a clear strategy. Turn the Hulk mode off, take a little time to appreciate and respect its mechanics, learn the moment and fighting style of your foes, and see how easy the fight becomes (well, relatively easy) afterwards. Just when you start to feel a little confident, the game shows its uncanny ability to knock you back a step or two just to demonstrate who is the real boss. You will die, more often than you can even keep track of. Still, when you finally conquer an enemy while barely holding on to your life, you’ll keep coming back for that feeling. The combat mechanics are a little difficult to grasp here. Granted, it can be frustrating at times, but once you get used to it, you’ll be addicted. It becomes a sort of a drug you need to function. Once you make it through the Soul’s series, why not check out some similar games? The only downside is that once you’re through this series, other games feel way easier than they should. 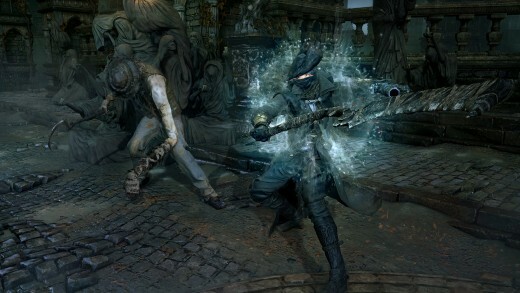 Developed by FromSoftware and published by Sony Computer Entertainment as a PS4 exclusive, Bloodborne takes you to Yharnam, a city plagued with a mysterious disease that has infected almost everyone. In your quest to find a cure, you fight through the monster and infected people to uncover the mystery revolving around the whole city. The city of Yharnam is filled with secrets and alternate pathways. You’ll spend most of your time in fighting monsters and exploring every nook and cranny of this city to find alternate pathways. The city is filled with a mind-boggling number of secrets and thing to do that will keep you occupied for a long time. If you have played a Soul‘s game before, you know what to expect here. The gameplay mechanics here are though more accessible. 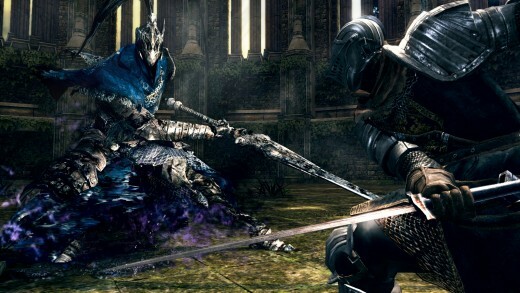 In Dark Souls series, enemies you defeat drop souls, helping you with progression in the story. In Bloodborne, you’ll collect a thing call Echoes that help you with purchasing health potions and acquiring new weapons. Once again, it’s a game where you can’t afford to be sleazy. You have to be precise with your attacks and anticipate your opponents’ move in advance. If you don’t have quick reflexes, the shield will not be handy. This game demands that you know of your surroundings and type of enemy you are facing. You just can’t go on swinging your weapon and expect to come out unscathed. Patience and strategy is the only way through. Unfortunately, it’s only for PS4 users. If you don’t own one, you’re out of luck. Developed by Ninja Theory, it’s a game made by a handful of people. It’s one of the most underrated games not many people know about. On the surface, it looks like a combat heavy game all about slaying monsters. However, once you delve into it, you realize that it’s much more than that. It’s about dealing with anxiety, psychosis, depression, and delusion, all at the same time. As your character deals with all of that, you are merely witnessing her perception of the world. Will you trust what she is seeing or saying? Although not billed as a horror game, this game shook me to the core and made me uncomfortable more times than I can recall. It’s hard to witness a decaying world from the protagonist’s perception. The gameplay is not a lot different from the puzzle solving games like Uncharted or Tomb Raider. In these games, you have to solve puzzles to get to the next area. If you have played such games before, you know what to expect here. Oh, and try not to die too many times, for your save files will be erased and you’ve to start from the beginning. Did I mention that this game has no HUD? It’s the first thing that strikes you as soon as you boot up the game. There is nothing to help you progress through the game, except the disturbing voices echoing through your character’s head. Beautiful, isn’t it? I have been a huge fan of the Monster Hunter series. I was skeptical at first when they announced that it is finally going to arrive on mainstream consoles and PC. Of course, I was wrong in my skepticism. 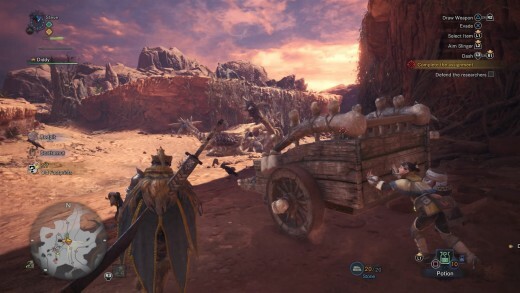 Capcom has outdone themselves with this brilliant masterpiece. They have created a huge sandbox RPG that gives you the freedom to be your own destiny maker. You are free to choose the path of your liking. At first glance, it seems like a game only kids would enjoy. However, once you play it for the first few hours, you realize just how much work has gone into this game. Everything from the character progression to weapons’ arsenal has been well laid out. One of the best things I enjoyed about this game is that no two weapons ever feel the same. 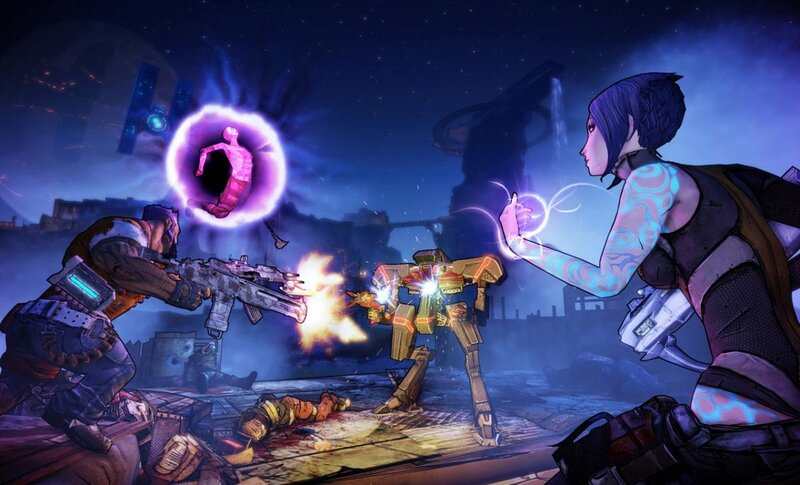 For instance, if you’re using a lighter weapon, you’ll be able to move around quickly and strike your foes faster. Same is not the case with bulky weapons. They feel heavy to carry around and use. 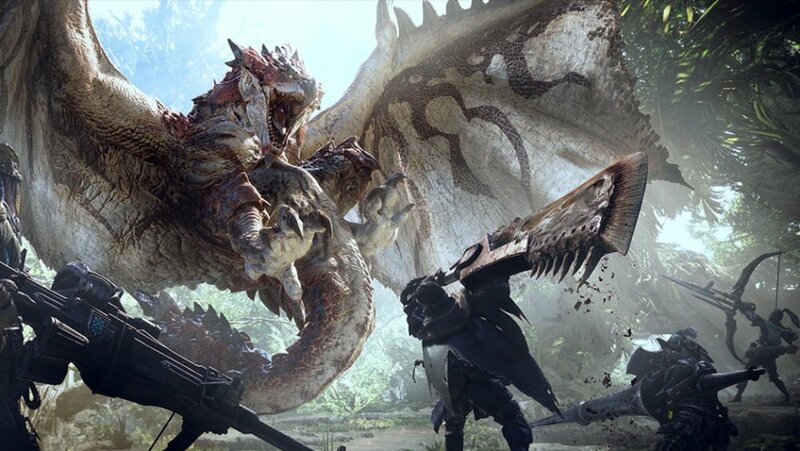 You’ll have to use different combinations of weapons and strategies to hunt different monsters scattered throughout this open world. Keep on improving your arsenal and skills to beat the next big thing. If you like combat-heavy games like God of War, picking this up is a no-brainer. Yet, Dragon’s Dogma has the ability to surprise you with its epic battles. Whether it’s climbing up the monsters to finish them off or just hacking them to death, there is a lot to learn and do. 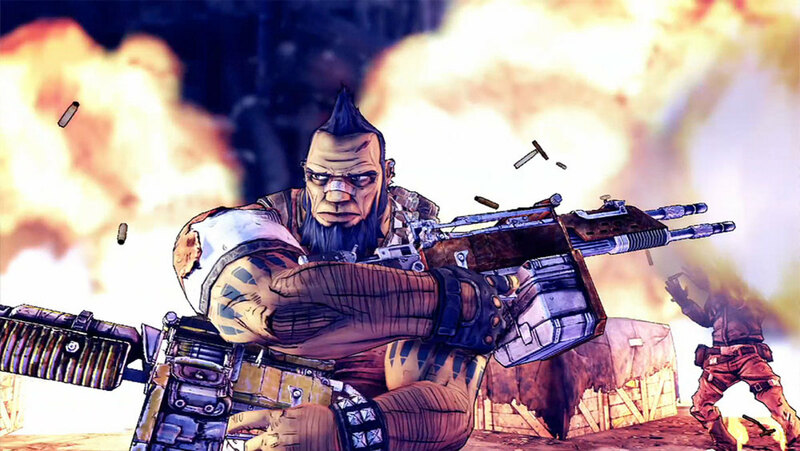 Originally released only on Xbox 360 and PS3, it often suffered from performance issues such as low framerates and sluttering. I was pleasantly surprised when I picked up the recently released PC version, which not only looks better than its console counterparts but performs better in every area as well. The biggest advantage PC version has over others is its uncapped framerate, which, in my opinion, is a must for a combat-heavy game like this. While you’ll be rewarded for being bold and innovative with your strategies, being reckless isn’t going to get you far. The combat is one of its strongest aspects, but the toughest to get in as well. Thankfully, the tutorial phase of the game does well to help you familiarize with every aspect of the game. 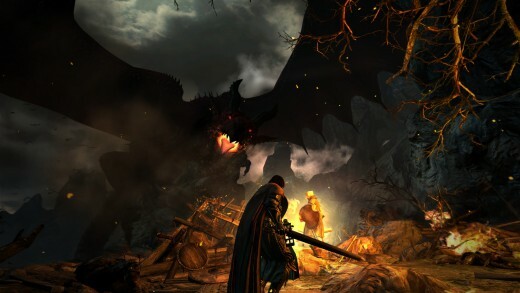 If you have played Monster Hunter series, Dragon’s Dogma might feel familiar. The only thing lacking is a good story. If you’re picking this game up hoping that you’ll witness a good story along with excellent combat mechanics, it will disappoint you. There is not a lot going on storywise to keep you engaged. I even forgot why I was fighting for, but it was so fun I played all the way through. 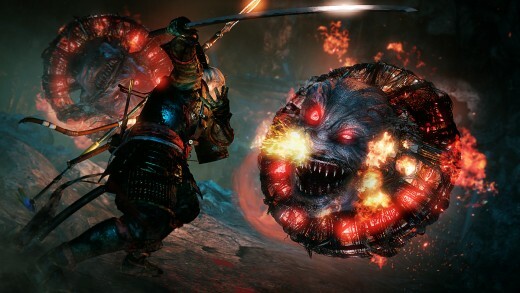 Although it's clearly inspired by Dark Souls, its action-heavy distant cousin, Nioh brings a certain calmness in an otherwise hellish world where everything wants to kill you. Thanks to its well-laid tutorials, you never feel as if the game is punishing you undeservedly. Most of the deaths, if not all, will be because of your impatience to learn its ways. Make no mistake; it's an accessible game, one that doesn't require mastery in hack-&-slash combat, but more than happy to see you die repeatedly if you're careless. Although death is a frequent and certain occurrence, it's not as frustrating, partly because of its hauntingly beautiful world crammed with a variety of enemies. If anything, it works as a motivator for you to press forward and experience everything the game has to offer. Leave ego on the doorstep, and learn to embrace your fate. Death, after all, is serene. 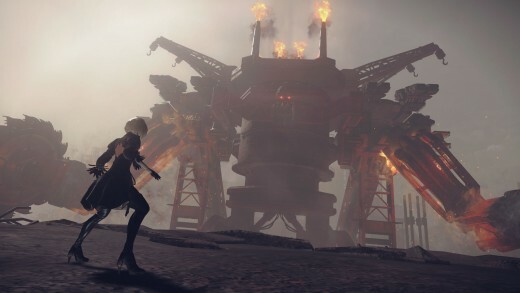 Developed by Platinum Games, Nier: Automata is a mishmash of so many genres that it would be unfair to call it a hack-and-slash game. Yes, there are tons of androids running amok, waiting to get chopped to pieces, but then there's also some platforming and adventure elements punctuated into this gem of a game. This game takes a unique approach to storytelling as you experience the same tune of events from three different perspectives, one by one. To sum it up, you must at least go through this game thrice in its entirety to understand everything. Only then you'll complete it. I know. Doing three playthroughs just to go through the same sections sounds like a mundane chore, but it's designed in a way that everything feels fresh, even when you're redoing it. The sheer variety and uniqueness it brings to the table with its story and gameplay is nothing short of remarkable. It demands that you stay on the top of your game as it switches back and forth between various genres. If you're looking for an offbeat game like God of War, Nier: Automata should be your best bet. This Ninja Theory’s contentious retake on a beloved franchise has all the action and style you need. 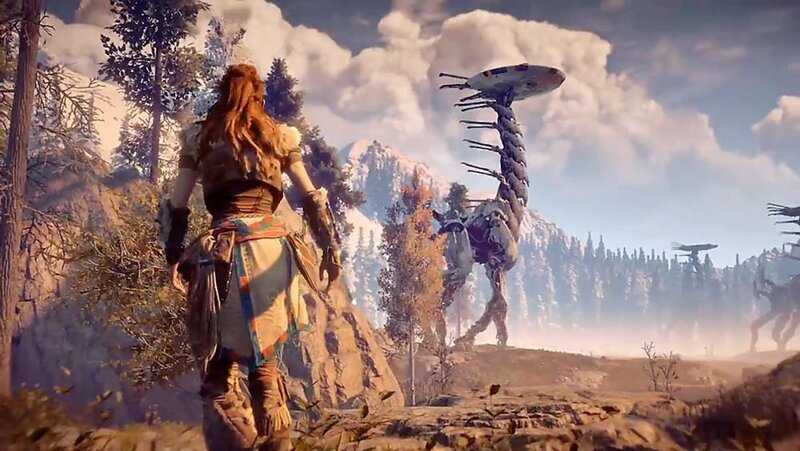 The new look and feel of this game might infuriate longtime fans of this series, but at its core, it's the same game wrapped in a flashy exterior. Dante, the protagonist, is the same guy who exudes confidence and arrogance with every reckless step. His execution of combos has a certain flair that's pleasing to the eye, even in the face of all the gore and violence. 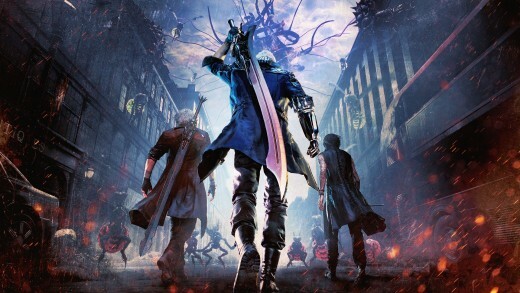 All its style and impressive visuals apart, this game’s saving grace is its combat mechanics, which goes deeper than any of the previous DMC iterations. At many moments of time, you'll have access to three different weapons on a single press of a button, which translates into a fast and seamless hack-&-slash experience on a dime. Every weapon has a different feel and impact when you unleash them on enemies. Some are designed for slow and power - intense fights, while others are designed to give you the instant gratification of dismembering enemies into oddly satisfactory pieces. Behind all its new variety and flashiness, lies a deep, multi-layered game that rewards you for learning the ropes.